Who wouldn’t enjoy a nice midday pizza- or Italian beef-induced coma? People who are Downtown working and can’t risk going into a meeting with meat sweats, that’s who. 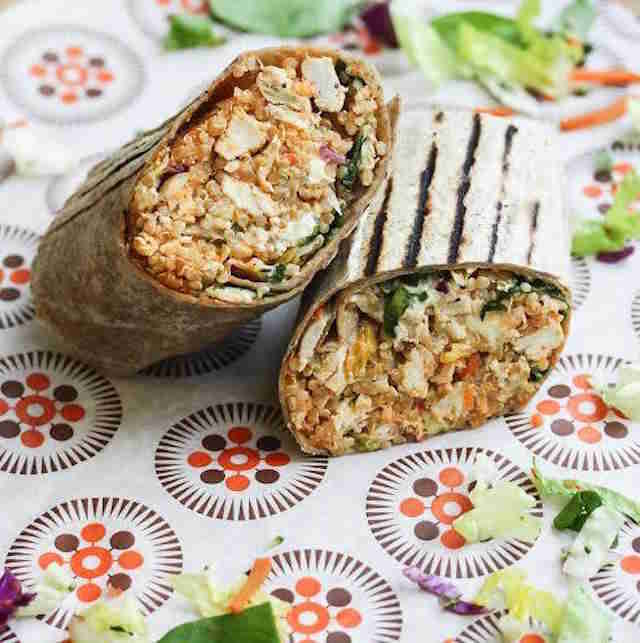 We’ve got you covered with these top healthy Loop lunches that will give you the energy to finish out the workday without all the heartburn. Still craving brunch for late lunch? Egg sandwiches until 4pm will help with that. 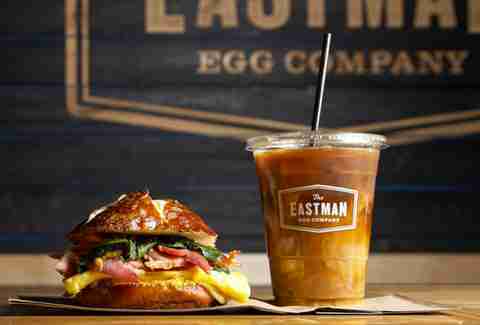 Eastman Egg sources fresh, all-natural ingredients, and creates almost everything in house from sauces to granola. 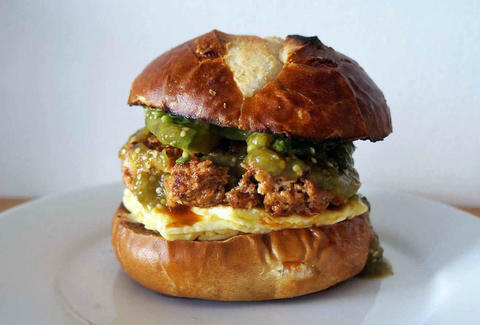 The noteworthy items include “The Fairfax” egg sandwich topped with sautéed bell pepper, wilted spinach, house green goddess sauce on a seven-grain roll or “The Scoundrel” egg bowl composed of smoked turkey, white cheddar, and house spiced mustard in a bowl. With lots of Loop locations, online phone ordering, and quick service, you can’t miss out on this healthy staple. Grab a protein-packed smoothie for a snack (Millennium Perk), signature grilled bar-rito (Buffalo Bar-rito), warm savory bowl (Thai Coconut Curry), or any of their signature salads with house-made dressing. 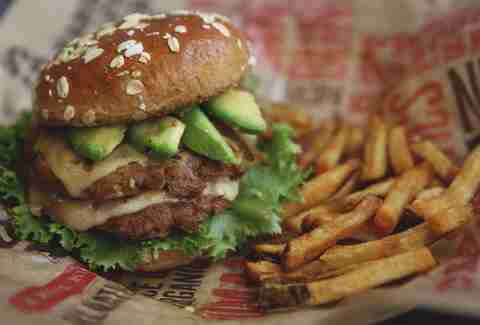 This mindful burger joint provides health-conscious options, including all-natural turkey burgers, grilled chicken, and Portobello mushrooms with the option to go without a bun. Order one of these burgers bun-less (i.e., wrapped in lettuce) and regret nothing. Stop by this health vending machine for faster than “fast” food. The kiosk gets produce delivered fresh every morning and everything is made from scratch. 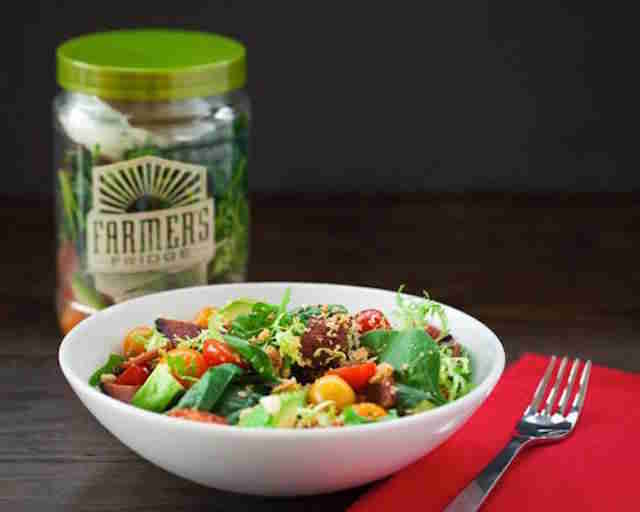 Their menu items include savory salads (avocado BLT salad), breakfast items (almond butter oatmeal), and snacks (chocolate trail mix). 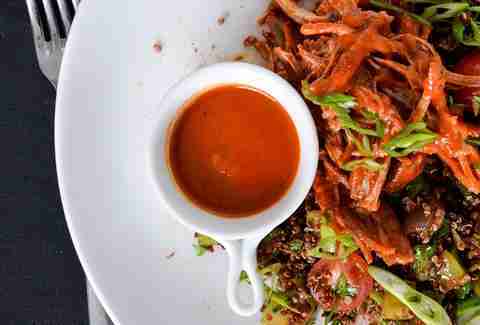 Have it your way: gluten-free, low-carb, sodium-conscious, non-dairy, paleo, or vegan. SNAP has a delicious array of flavorful menu options, from grass-fed lamb lasagna to chicken and green chili enchiladas to fettuccine and vegetable alfredo. 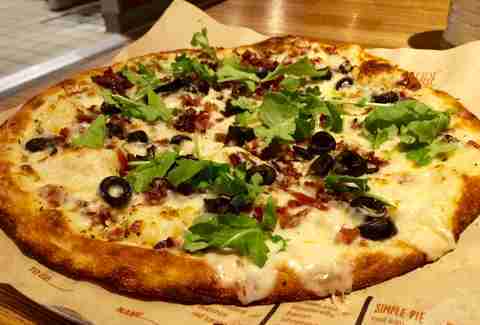 Healthy pizza may seem like a contradiction in terms, but walk into this fast-casual pizzeria, select a signature thin-crust pizza, and watch it bake in their wood-burning and believe. Get a pizza and split it with a co-worker or save half for your lunch tomorrow. Try the “Green Stripe” pizza with pesto and grilled chicken for only 130 calories a slice! 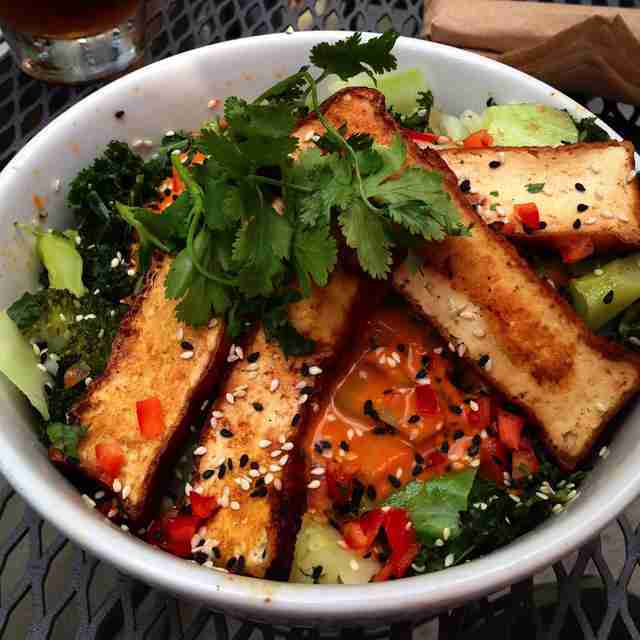 Native Foods’ delicious sans-meat cuisine creates fantastic and filling vegetarian plates. Don’t forget to add their lavender lemonade and sweet potato fries with organic ketchup to complete your healthy showstopper order. This “Chipotle-style” Mediterranean restaurant lets you create your own sandwich, rice plate, or salad. With lots of fresh ingredients, you can’t go wrong as long as you’re steering away from too much fried falafel or pita bread. 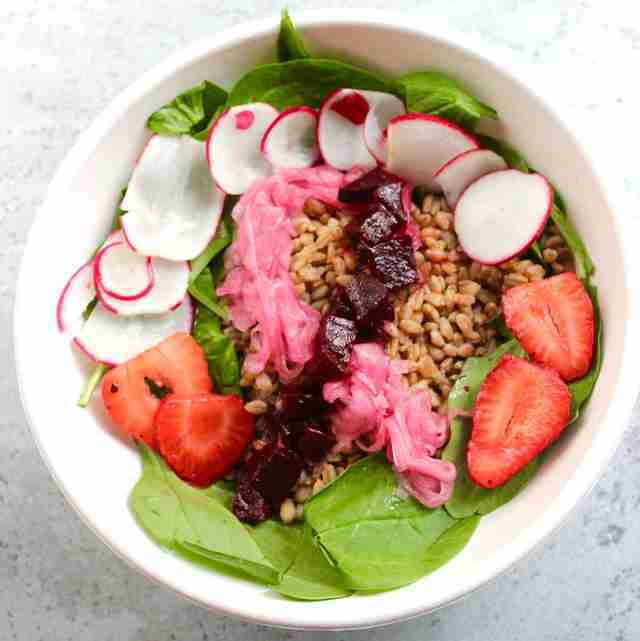 A boutique salad restaurant with creative and seasonal menu items, including fresh salads, hearty grain bowls, soups, and the option to turn any salad or bowl into a spinach or whole-wheat wrap. In case you work in a sad floor of cubicles where desk-lunches are mandated, Chicago’s gluten-free and paleo food delivery service is here for you. Custom order your meal online and pick it up at the KitchFix official store, a hub around the loop, or have it delivered to your home or office. You can’t go wrong with the sloppy j, curried sweet potato soup or guacamole. Maggy Boyd is a Thrillist writer who lives a constant battle between craving bacon-maple long johns and Jimmy John’s unwhiches. Follow her next craving @NutritiousF.